The Daily Beast reported yesterday that Mustard Seed Media, which consulted for Republican candidate Roy Moore in last year’s Alabama Senate special election, has purchased Big League Politics, a “notable outpost of pro-Trump viewpoints and anti-liberal conspiracy theories on the internet.” Big League’s editor-in-chief is Patrick Howley, an alumnus of Breitbart News, the Washington Free Beacon, and The Daily Caller. Howley and Big League Politics are both known amplifiers of right-wing conspiracy theories. Mustard Seed Media isn’t the first GOP consulting firm to get into the pro-Trump media game. 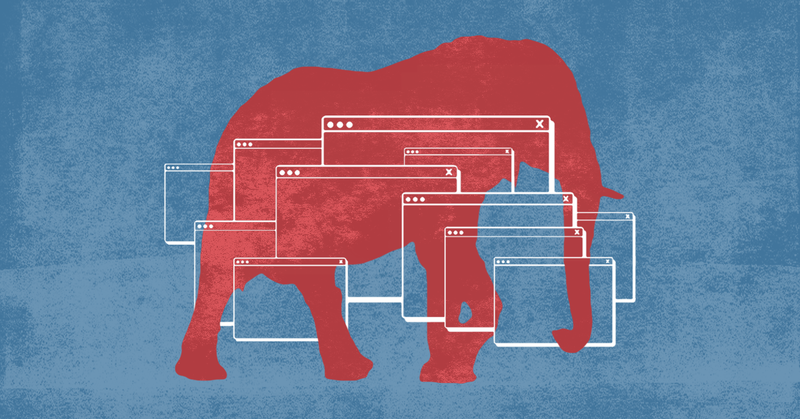 I’ve written previously about Dan Backer, a GOP consultant who has created pro-Trump media sites and used them to build an email fundraising list and raise money for pro-Trump super PACs he also runs. Both Becker and Mustard Seed Media have decided to skip the middleman: Why reach out to pro-Trump media when you can simply build your own media empire to talk up your political clients? It’s a lot less work than pitching pro-Trump outlets that you don’t own outright. Mustard Seed Media’s latest purchase illustrates this point. The company has also turned Moore’s campaign Twitter account, a valuable asset with more than 75,000 followers, into Big League Politics’ official Twitter account. Partisan media by itself isn’t a problem, even when it’s run by former political operatives. Certainly, there are examples on the left as well. However, running political media outlets while actively working for political candidates and party committees is another matter entirely, especially when you choose not to disclose your conflicts of interest to the readers.